It isn’t hard to spend ten perfect days in San Luis Obispo (SLO), with its year-round sun, warm Mediterranean marine climate, world-class wine region and thousands of acres of protected open space. But when Festival Mozaic comes to town, all of SLO County becomes the stage, with 50 of the top musicians gathering to make music together, share in our culinary bounty and, of course, enjoy a glass or two of wine. Since 1970, Festival Mozaic has been providing world-class music experiences in spectacular spaces for visitors to SLO County. Enjoy musical concerts in amazing spots like the Mission San Luis Obispo de Tolosa, Serra Chapel high on a hill in wine country, an old adobe amid gorgeous gardens and the state-of-the-art Cuesta College Cultural and Performing Arts Center. Internationally-acclaimed conductor and violinist Scott Yoo serves as Music Director, and as he travels the globe, he hand-picks the best musicians to invite to the Festival. Established musical masters play alongside up-and-coming classical and crossover starts ­– the festival is the only place you can see some of these musicians perform! You’ll see musicians everywhere in SLO County, during the last 2 weeks of July, at wineries, churches, private homes and concert halls. If you see someone with an instrument case, chances are they’re in town for the Festival! Ask them how playing at Carnegie Hall compares to playing in the vines at Chapel Serra in Shandon. They’ll be sure to tell you nothing can compare. Join musicians from the orchestra in an outdoor Benefit Dinner in the Plaza featuring farm-to-table delicacies and elegant local wines (in past years, from Big Sky Café and Claiborne and Churchill), then follow the players inside the Mission San Luis Obispo de Tolosa to see Maestro Yoo conduct the Orchestra in a concert. You can also crossover to the Fringe side with the bold sounds of UnClassical music, like string trio Simply Three, who play incendiary covers of pop music songs of today. With lights and video integrated in to their performance, Simply Three redefines what a classical music concert can be. It’s truly a show for all ages. On the first Saturday of the festival, be transported to a heavenly place with Baroque in the Vines in a venue like no other, Serra Chapel in Shandon. Sit outside this private chapel’s massive, open doors as beautiful music wafts over the vines from the orchestra inside. Arrive early for picknicking, tour the chapel’s interior and enjoy the views! Award-winning wine and farm-to-fork cuisine are both fueled by SLO’s close proximity to California’s agricultural epicenter, and play a big part in the Festival’s events. Mingle with other attendees as you dine in gardens, courtyards and even poolside before hearing Beethoven in a Barn! In this hectic, fast-paced, plugged-in world, classical music performances gives us space to sit together, relax, and let timeless beauty wash over us. At Festival Mozaic, the best classical musicians in the United States come together in SLO County to make this music for the audiences, and to enjoy each other’s company. This yearly wine event happens every June, kicking off summer with a fun Thursday night food and wine event in downtown SLO’s Mission Plaza. At Barrels in the Plaza, sample farm-to-table cuisine from over 50 local chefs and wineries, with live music by the Cimo Brothers on Thursday, June 21, 2018, from 4:30-7:30pm. Then, Friday and Saturday, June 22-23, sip your way through SLO Wine Country with the all-inclusive Passport ticket good all day at most wineries. Walk the vineyards, sample wine straight from the barrel, try the Wine Aromatics Bar and enjoy food trucks, oysters, live music and more! There are lots of fun educational experiences and activities throughout the various wine trails, so check out all the offerings here, or download the booklet here. The ticket includes 4 locations per day for a total of 8 visits – the Saturday only ticket is good for a total of 4 visits. Don’t miss this in-depth wine experience! 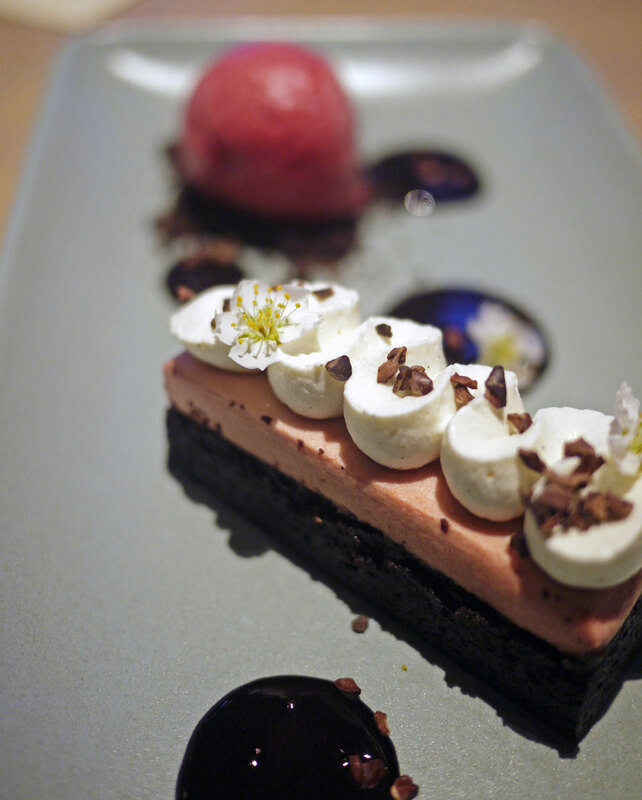 As Chef Tim Veatch hunches carefully over a great, beautiful slab of chocolate torte layered with rhubarb mousse, slicing it into perfect rectangles for serving, he’s interrupted by a knock on the door. He looks up, then his voice bellows across the kitchen to greet farmer Bill Spencer with a huge smile. Spencer, the grandfatherly owner of Windrose Farm with a cherub face, comes in for a hug. He’s brought fresh produce, along with some pressing questions for Veatch about a pursuit they have in common: bread baking. Spencer asks Veatch the best way to score leavened sourdough before baking, and the two are off. “Perfect timing,” says Veatch, as he pulls a loaf from its proofing basket, and scores it once right down the middle, as Spencer offers his two cents. 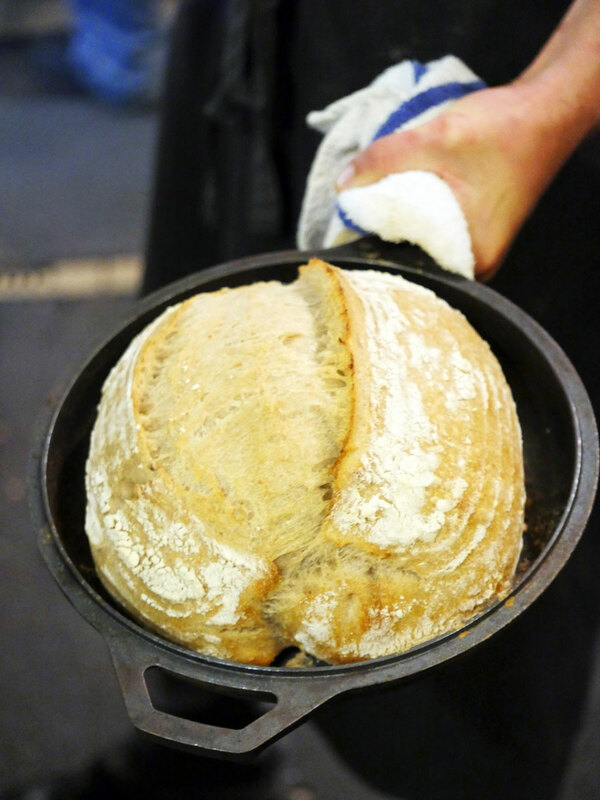 Veatch places the loaf into a shallow iron skillet with a deeper inverted skillet on top, and into the oven it goes and the discussion continues. After stints in Morro Bay, then LA and the Bay Area at Cavallo Point Lodge, Farmshop, Camino and Saison, Veatch arrived at Villa Creek, a Paso Robles dining institution that celebrated 19 years on the main square. After that? 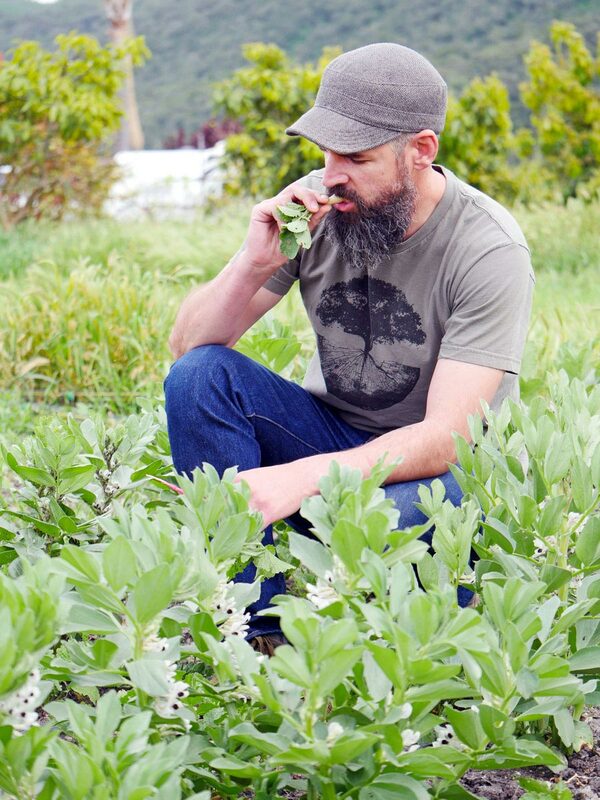 You’ll find him experimenting with avocados and a pop-up bakery in Los Osos, CA. 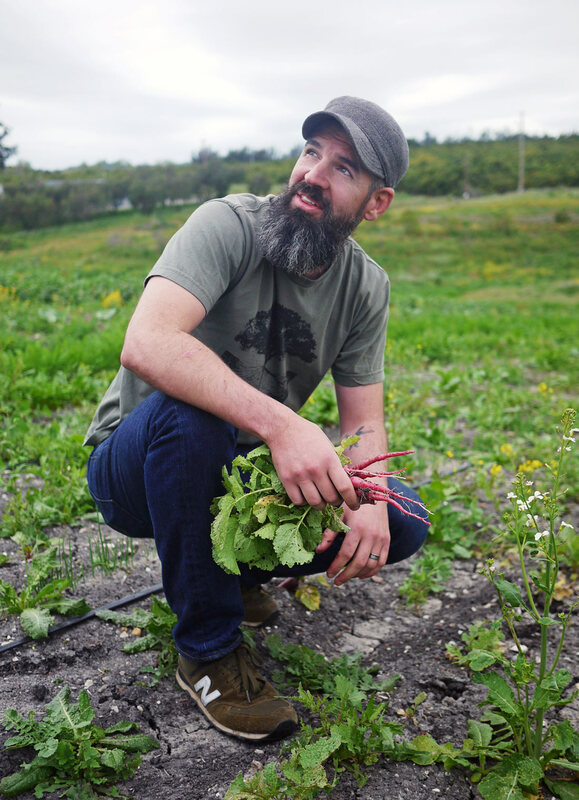 Tim is always aspiring to create something community-minded, local – and delicious. 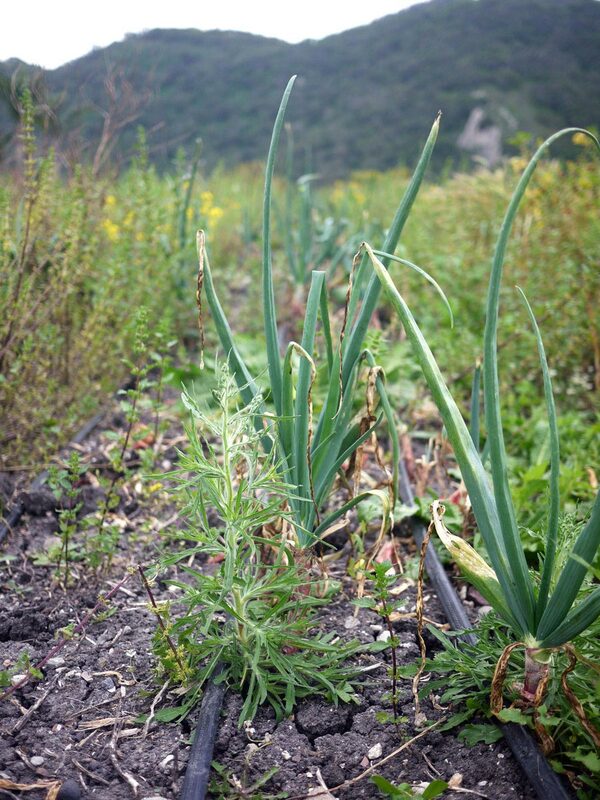 “Making great food is about sourcing great products and using the best of what a farmer can give you. 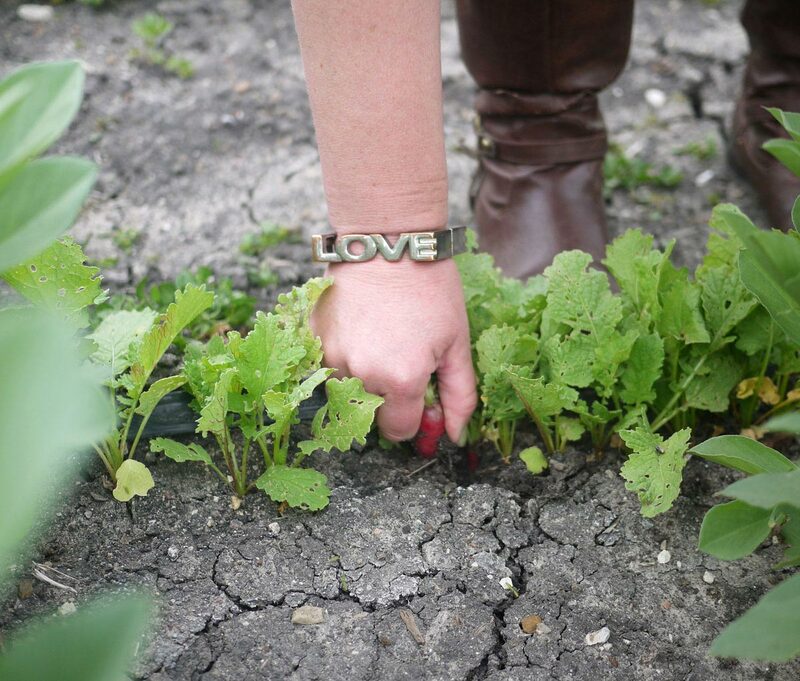 You have to really get to know and respect the farmer, to know the product,” says Veatch. Another favorite of Veatch’s is Pepper Creek Family Farms in Arroyo Grande. Along with her brothers, Jessica Newell runs the farm where her family has lived off the land for three generations. 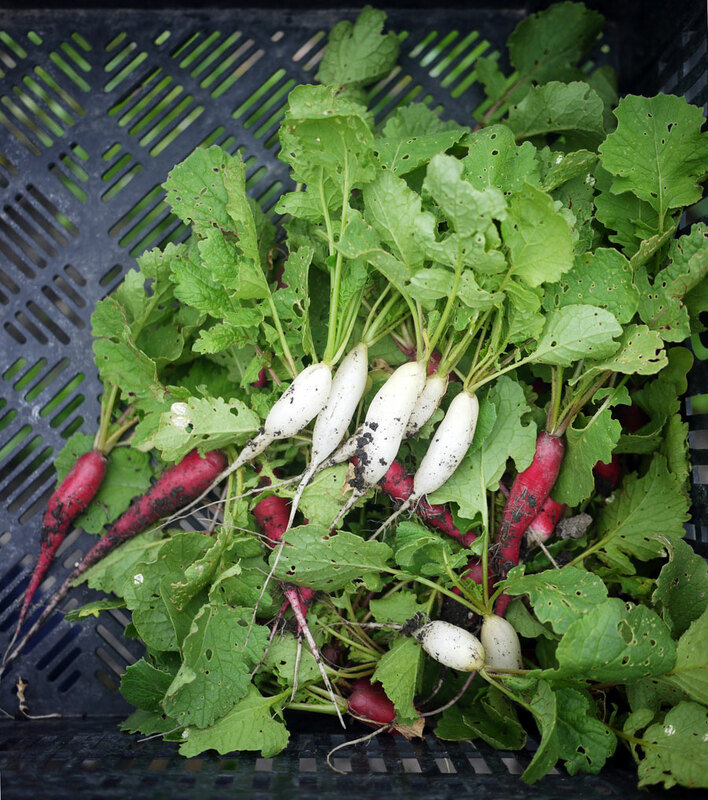 Veatch agrees, as he samples rosa, white icicle and French breakfast radishes and heads to gather winter onions for the restaurant’s local halibut dish. 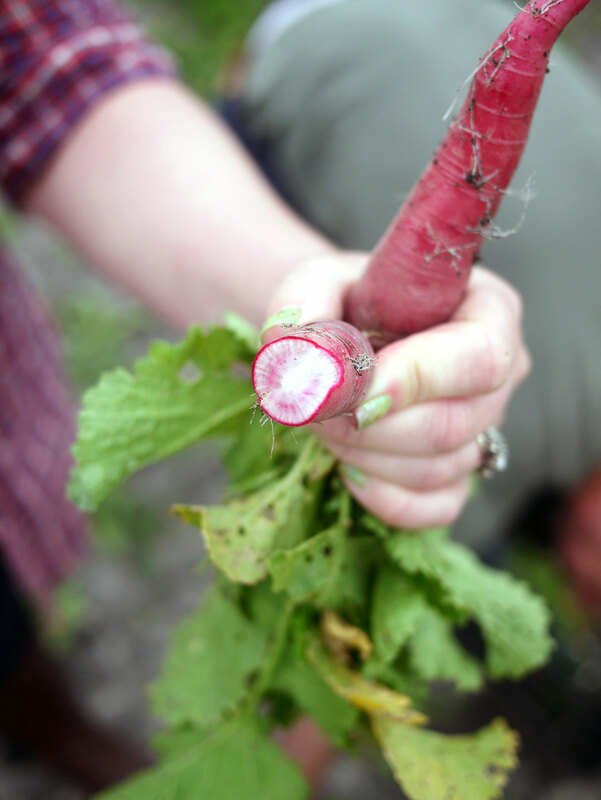 They discuss which radishes work best for different uses and some plans for new produce Veatch hasn’t used before. And he is excited. “This is what it’s all about,” he grins. 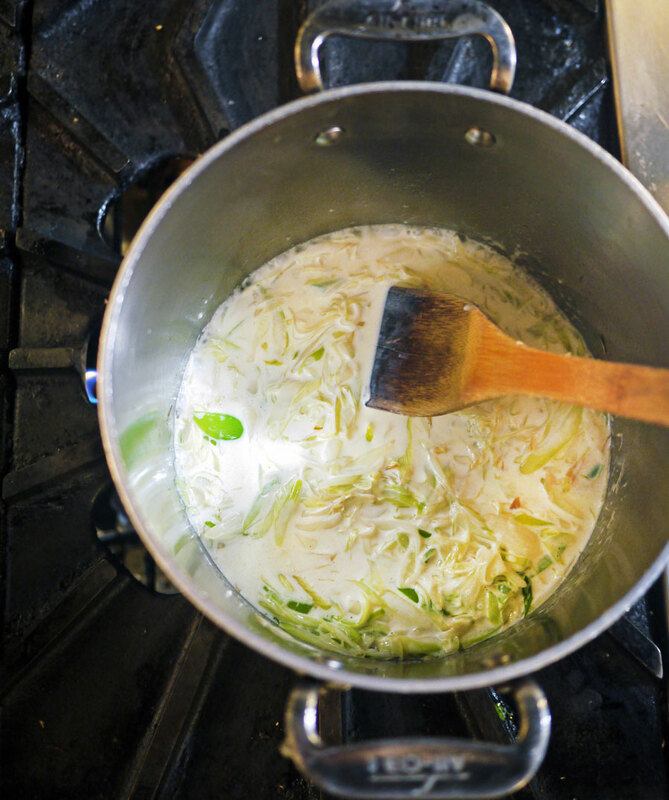 Back in the kitchen, Veatch uses Newell’s wild garlic and winter onions to make a creamy soubise sauce to cradle the local halibut. 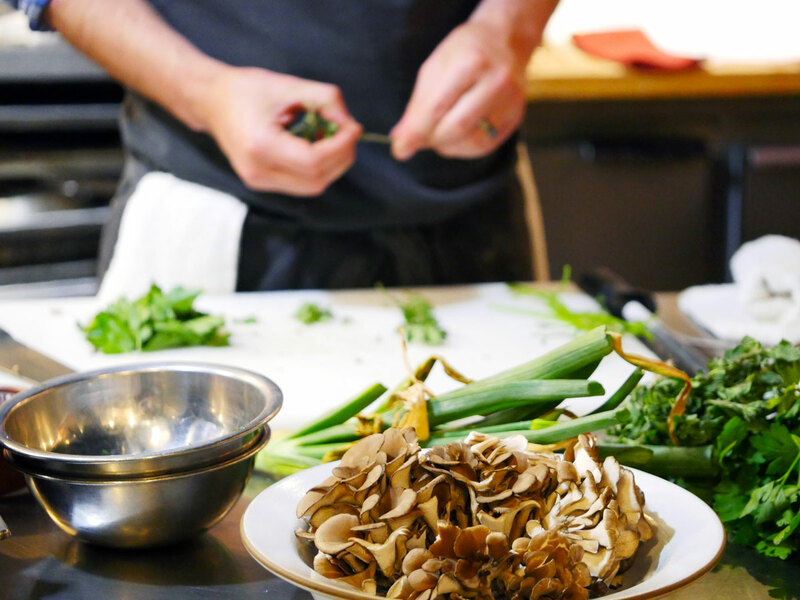 The fish gets grilled, then served alongside local hen-of-the-woods mushrooms and grilled asparagus. 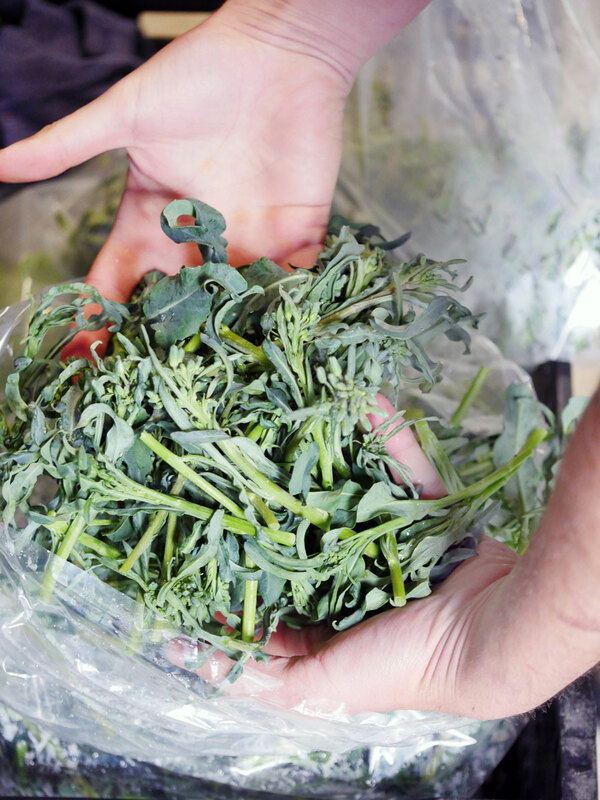 Veatch prefers to stick to simple food combinations and let the ingredients shine, along with a surprise ingredient here and there. 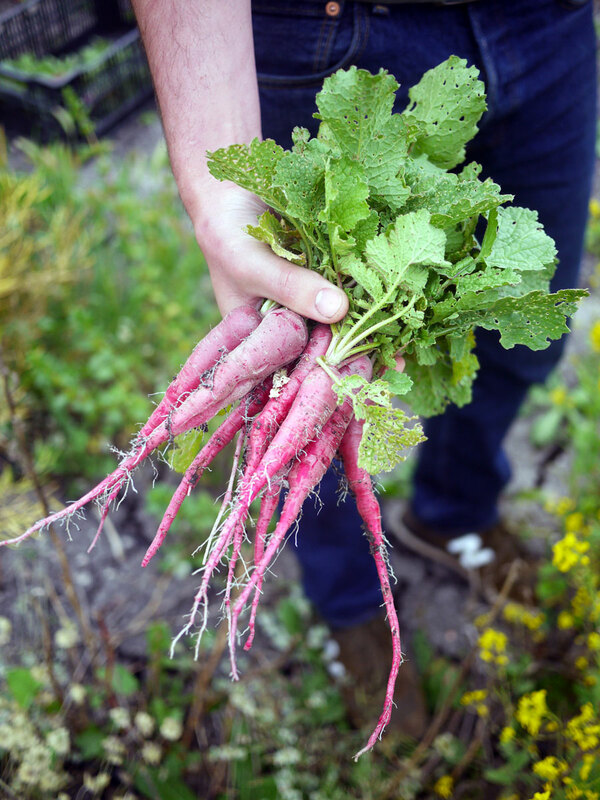 Veatch has already accomplished his own rebirth here in SLO County; he brought his family to settle here, then found a clutch of like-minded farmers, growers and makers and made it his own.